Elder Dale D. Tucker, Sr. Throughout his life, Pastor Tucker grew, learned and served at Triedstone. He served as a junior Deacon, Sunday School teacher, Triedstone Summer Academy and Vacation Bible School teacher, Youth Church Pastor and as the Executive Pastor. 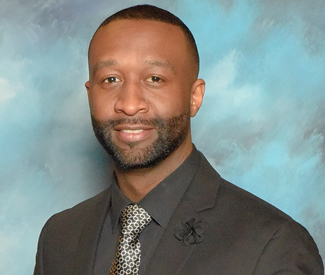 His service extended beyond the walls of Triedstone as the Assistant Director of Youth for Ohio Full Gospel Baptist Church Fellowship and State Director of Youth and Young Adults for Ohio Kingdom Connection Fellowship International. He currently serves as the National Director of Youth and Young Adults for Kingdom Connection Fellowship International. Pastor Tucker’s professional career outside of the church includes working in the community school system for fifteen years which includes eight years in administration. He is currently employed at Patriot Preparatory Academy, a K – 12 program, as the High School Principal. His responsibilities include providing leadership and administration to motivate instructional and support personnel to strive for superior performance which will provide the best possible opportunities for student growth and development on both the educational and personal level. The installation of Pastor Tucker on Sunday, January 29, 2017 begins a new chapter in the 84 year history of Triedstone. He is married to the former Tammie Moore (who also grew up at Triedstone) and is the father of one daughter, Daleyna, and one son, Dale Jr.